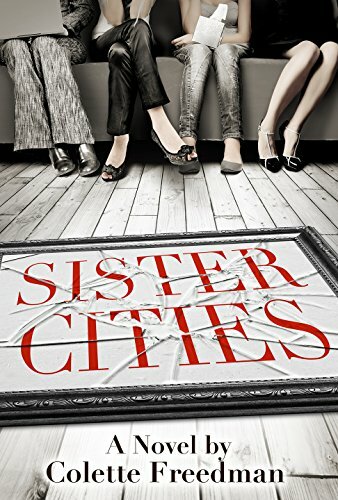 Sister Cities - Colette Freedman is a top Hollywood Script Doctor who has also ghost written several novels. Based on the internationally acclaimed stage play and critically acclaimed film, SISTER CITIES delves even deeper into the story of four estranged sisters–a lawyer, a writer, a teacher, and a college student, all from different fathers and all named after the cities in which they were born –who reunite after their mother’s alleged suicide. While a raging storms traps them inside their mother’s island home, the sisters share memories, bicker, and drink a lot of vodka as old animosities and new secrets emerge. Intersecting their stories is mother Mary’s viewpoint, as she writes letters to her daughters over the course of 40 years. With the ticking clock of Mary’s dead body in the upstairs bathtub, we see four very different women gradually come together as a united family in this inventive and heartbreakingly funny novel.